We had another link filled week in the college marching band world, so we have lots to share with you. St Patrick's Day Parade Marching. 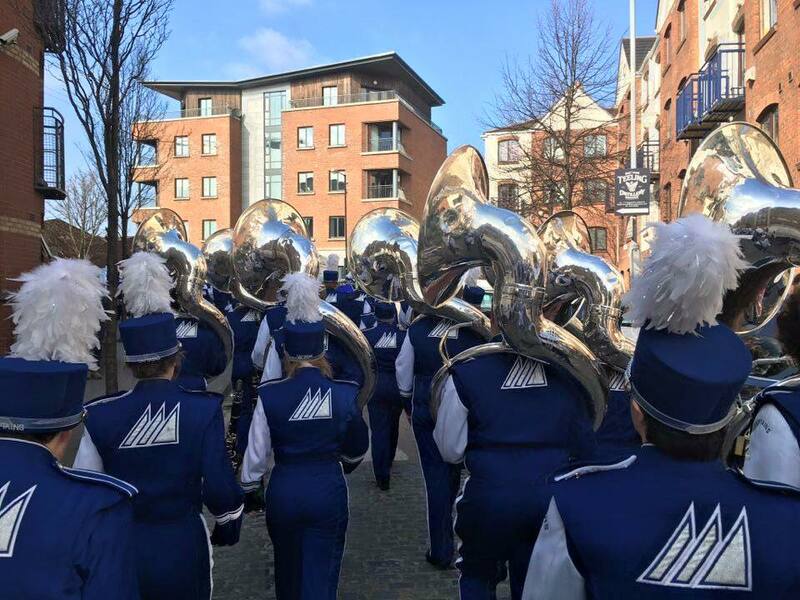 Christopher Newport University and Old Dominion University bands marched in the Dublin St. Patrick's Day parade and we have pictures and a video. Martha McSally took a swing at us. The congress woman tried to question the value of The Air Force Band, and we quickly fired back. Band themed exercise. Some members of the Marching Illini run a race with their instruments, all for a good cause. NFL Marching Bands hold tryouts. More specifically, The Ravens and The Redskins bands are looking for new recruits. Marching across the pond. It was announced this week that The University of South Dakota band will be performing in the 2017 London New Year's Day parade. Congrats to them for this honor. Goodbye for now, until next time!